Length: 12 ft. 2 in. Draft: 2 ft. 6 in. 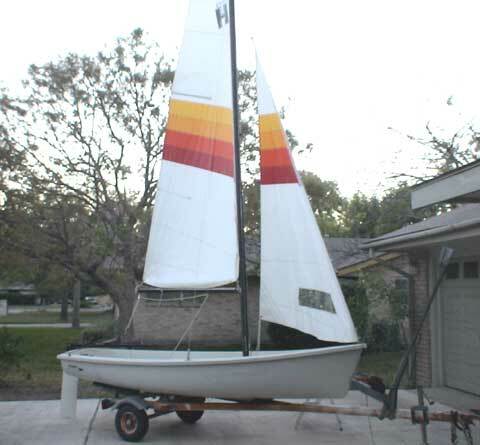 "Roomy for its size, the Howmar Twelve is a racer, trainer, and daysailer. The hull's light weight makes for easy car topping. 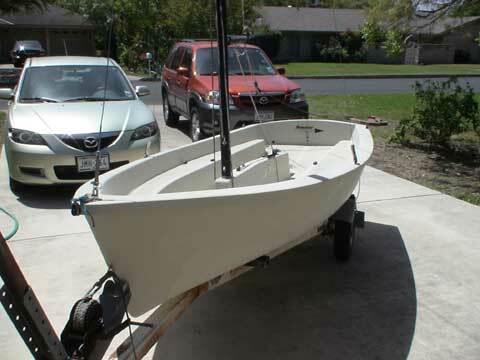 The boat has internal seating, is self bailing, and has foam flotation. There is dry storage under the forward seat. Capacity is 480 pounds. The main is loose-footed and has an adjustable outhaul. 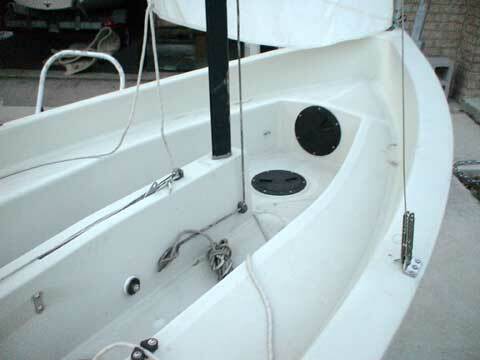 Both rudder and centerboard are polyurethane. The sharp bow cuts through the waves, and with its broad aft lines, the Howmar Twelve will plane." The cockpit is large. 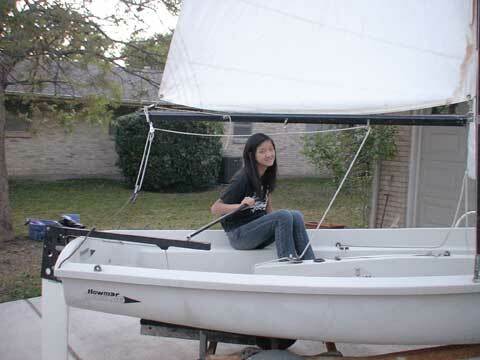 Of the 12 foot length, the cockpit is 9 ft. 9 in long. 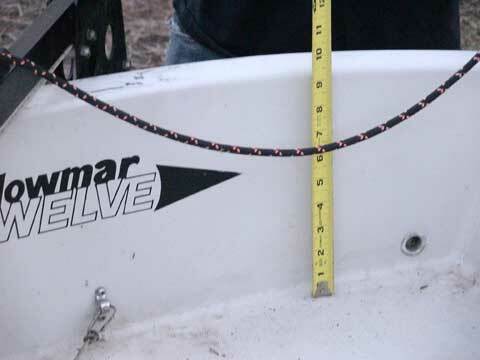 The main and jib halyards feed conveniently to the cockpit, each to a side of the centerboard trunk. Main and jib sheets also feed to cockpit within easy reach. I have clear title and TPWD registration. Sale includes trailer with current license plate. I sold the Howmar Twelve today for $1800. A gentleman and his son drove in from Houston to pick it up. Thank you. A check is on its way to you.